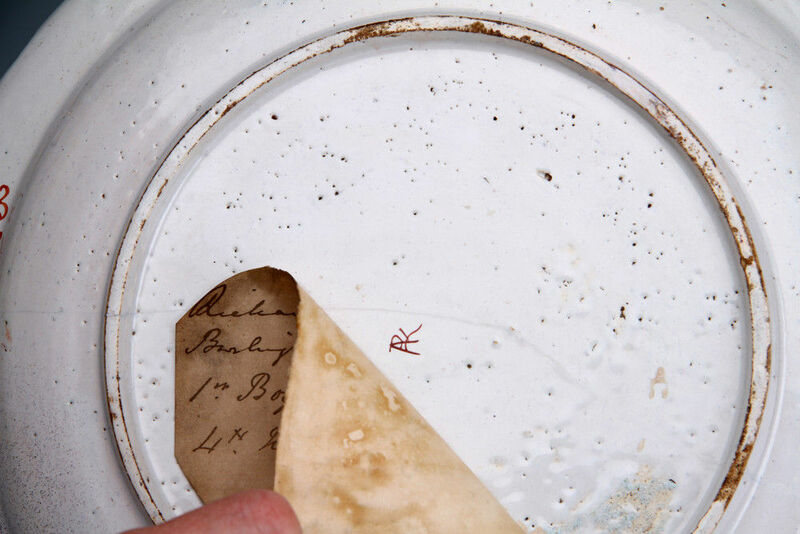 Red ‘APK’ mark for Pieter Adriaan Kocx, proprietor of De Grieksche A factory. This dish is one of group of elaborately decorated pieces that were produced at the De Grieksche A factory in the early years of the 18th century characterised by strong palette of over-glaze enamels and rich gilding over under-glaze blue. 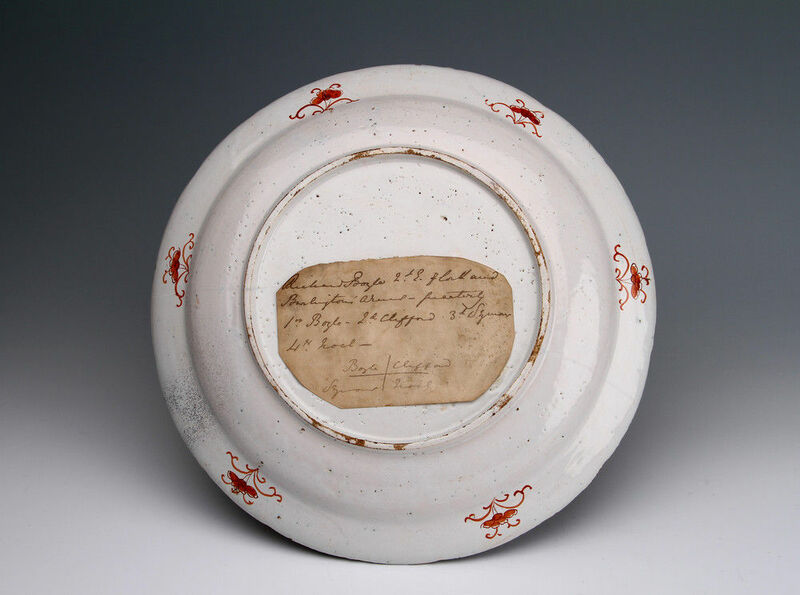 A famous service was made for Frederick I, King of Prussia, and other pieces were made for the Duke of Chandos and some leading French noblemen. The Burlington dish is the most richly decorated of all of these, it is not clear if it constituted a service or was a small order of display dishes. We have only found three other dishes and one plate recorded of this design. 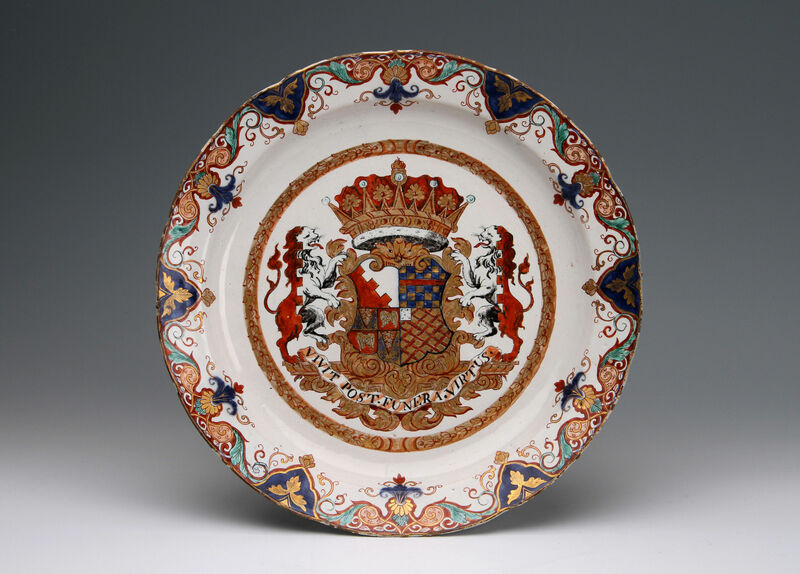 Until the period of the great Meissen services of the 1730s that were subsequently to dominate the market for the most luxurious wares, this type of ceramic was the most elaborate and expensive available for dinner wares in Europe. It is probable that this was ordered by Richard Boyle, 3rd Earl of Burlington, when he was in The Hague in 1714-1715. Bought by the Chatsworth House Trust.